Mac's Fridaynite is now named Jett, and he is going to be one spoiled boy. 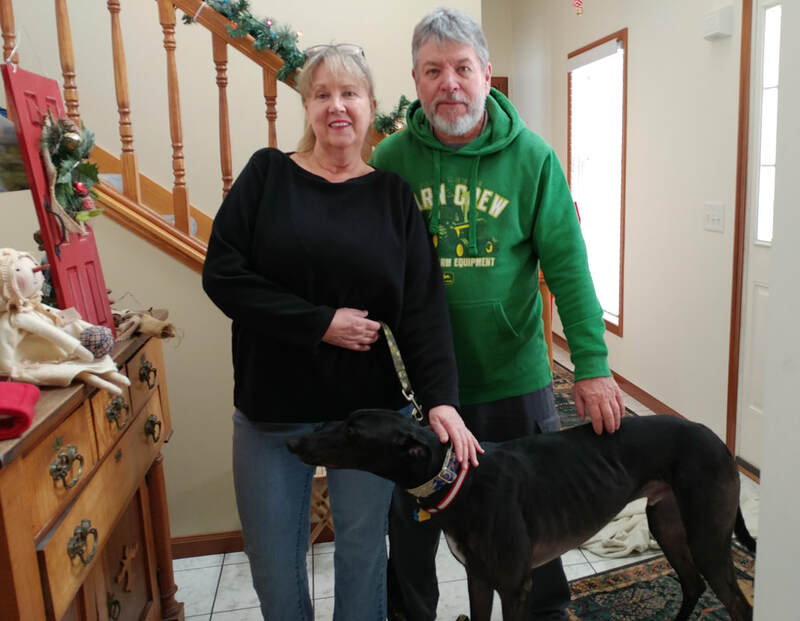 When he arrived at his new home in Piqua, Sheila and Jeff had a new bed and a box of toys waiting. His foster mom had also sent a bag of toys - "Santa brought them". Jett was wagging his tail nonstop during the photo session, and settled in with his new family very quickly. His new fenced back yard is several acres so he will have lots of room to run. Happy, happy boy!